Boom Blaster is a Balloon Game that combines the excitement of a balloon-popping contest with safe, authentic-looking blasting detonators, and is great fun for all ages. Get ready, get set, GO!! You must pump the balloon full of air and pop it before anyone else but with up to nine competitors it can be tough. 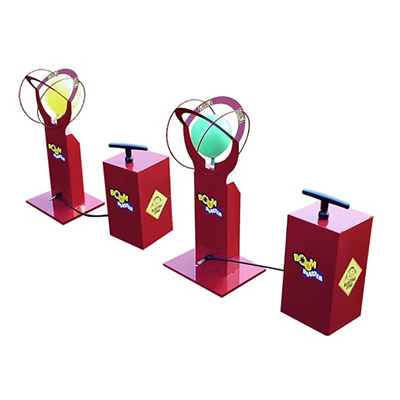 Boom Blasters are great for team building or fun picnic events. Using air pumps to fill the balloons they are popped when they touch the outside ring of the stand.